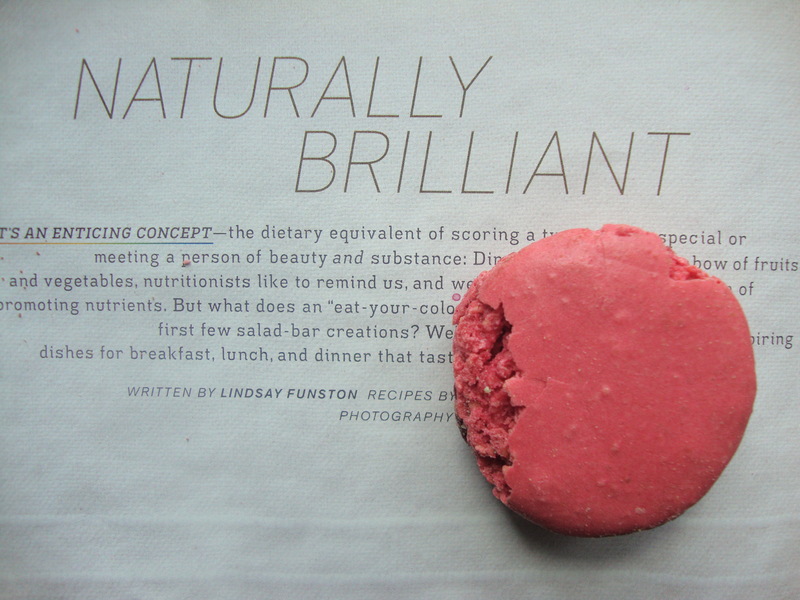 Why do women, most notibly, like macarons so much? They are trendy, like cupcakes, cute, sweet, delicate. It is more than food- it is a fashion statment- like those that carry around Staburcks disposable coffee cups, weatning them like a proud badge. But from a cooking perspective, you can do so much in terms of flavors and creativity. 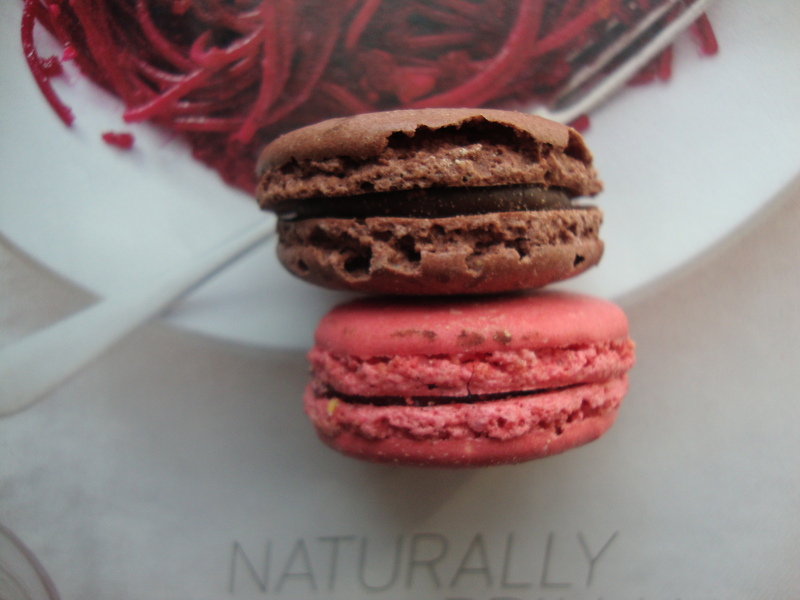 Ladurée, the famous macaron salon de thé in Paris ( and now in New York), stock piles a cache of jewel-like macarons in traditional and unusual flavors, such as the Black Forest Macaron ( picture above), a mahogany shelled chocolate ganache created stuffed with cherry jam and cherry Kirsch. 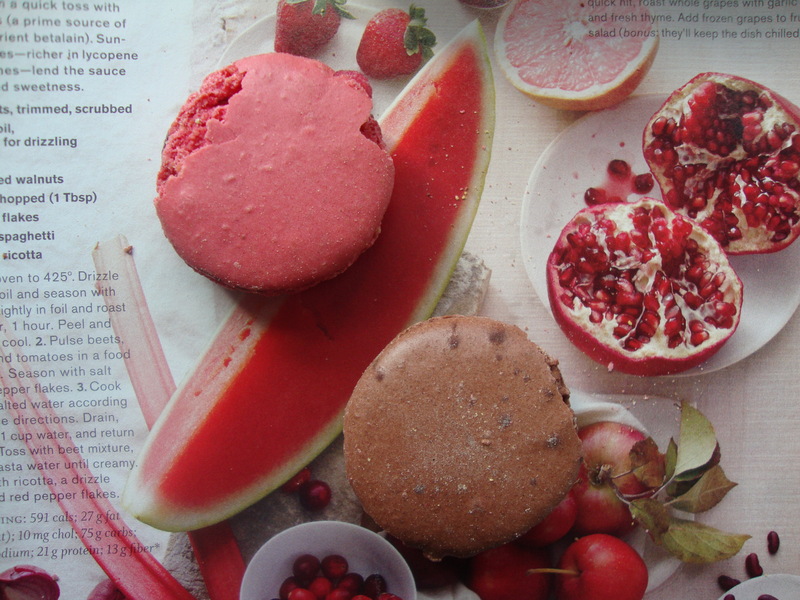 Macarons can be any flavor you dream of, from pear & chesnut, chocolate milk, coffee, rose, liquorice, lemon, vanilla, orange blossom, black currant violet, pistachio, raspberry, caramel with salted butter. 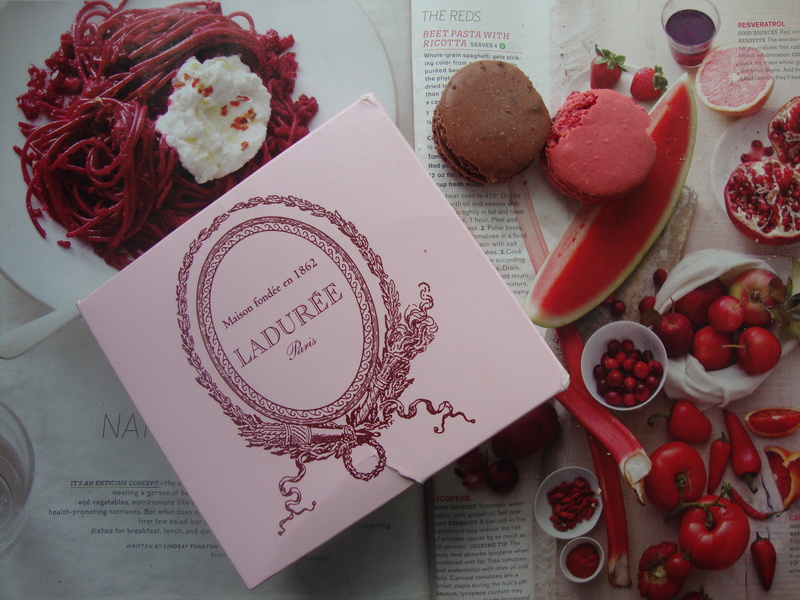 Ladurée even paired up with Japanese fashion designer Tsumori Chisato to create a delicate pink macaron, with a feathery cream filling reminescent of cherry blossoms for their 150th anniversary celebration. I-Heart-Baking at blogspot takes the creative dive and creates these adorable Hello Kitty Macarons– I Heart Baking totally understands the creativity that macarons can provoke.